This home is a "must-see"! This beautiful, all-brick townhome features "bump-outs" on all three levels! Great space - including an awesome, walk-out lower level with a private patio with views of mature trees and a quiet setting. The lower level also features a recreation room, den, a full bathroom and a laundry room. On the main level, the table-space kitchen features granite counters, stainless steel appliances, a built-in workstation, and two large windows with shutters overlooking the front of the home. The main level features hardwood floors throughout. In addition to the dining room and living room with a gas fireplace, there is also a family room which leads to a private, main level deck backing to the trees, offering a private setting on the main level. The upper level features vaulted ceilings in all bedrooms as well as in the owner's suite bathroom! There is also a skylight in the stairwell bringing natural light into the landing. The owner's suite also has a walk-in closet, a new ceiling fan with light, and windows, with plantation shutters, offering beautiful views. The roof and HVAC were both replaced in 2016! There is also a one-car garage. As far as location...this is a great spot in the neighborhood! You are in close proximity to the pool, tennis courts, walking paths, and all of the amenities which make this community great! 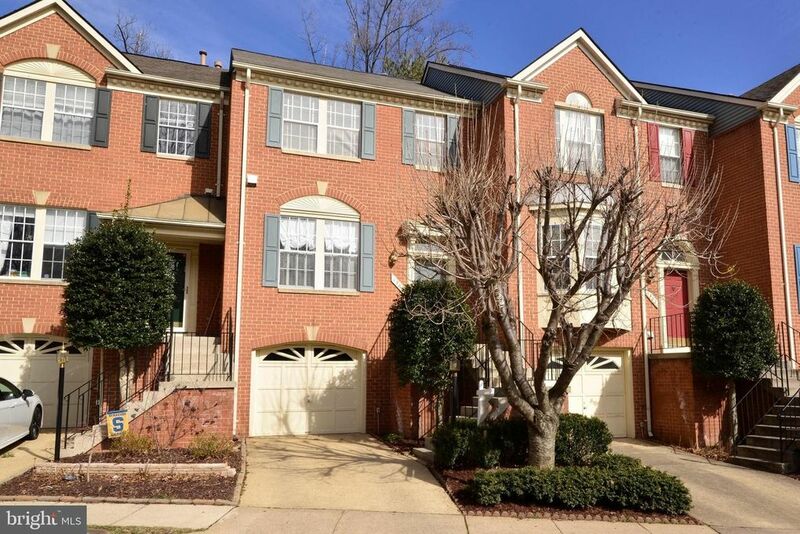 Close proximity to the metro, Reston Town Center and major commuter routes! Add this one to your list! Great price, great value, great location.